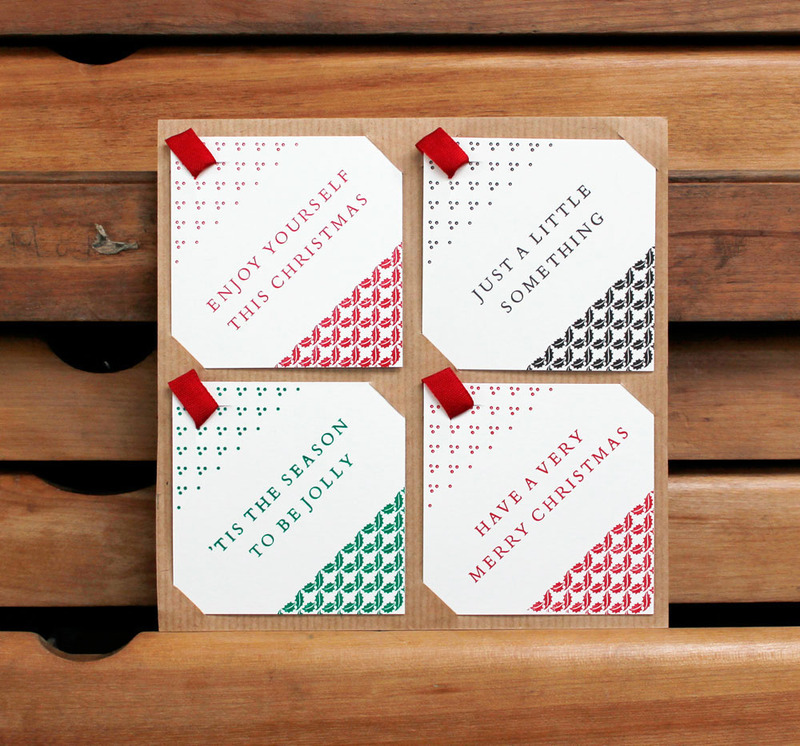 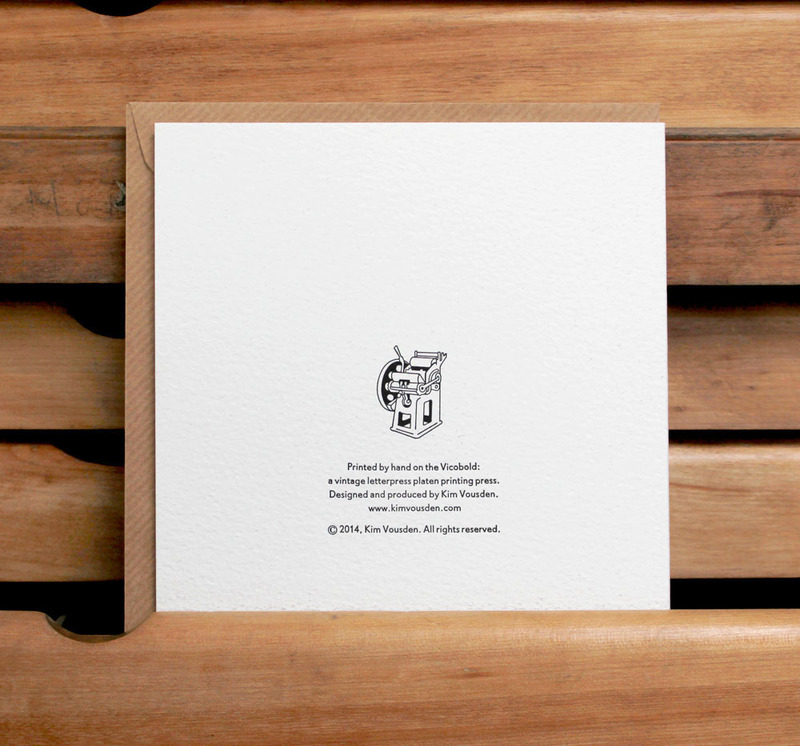 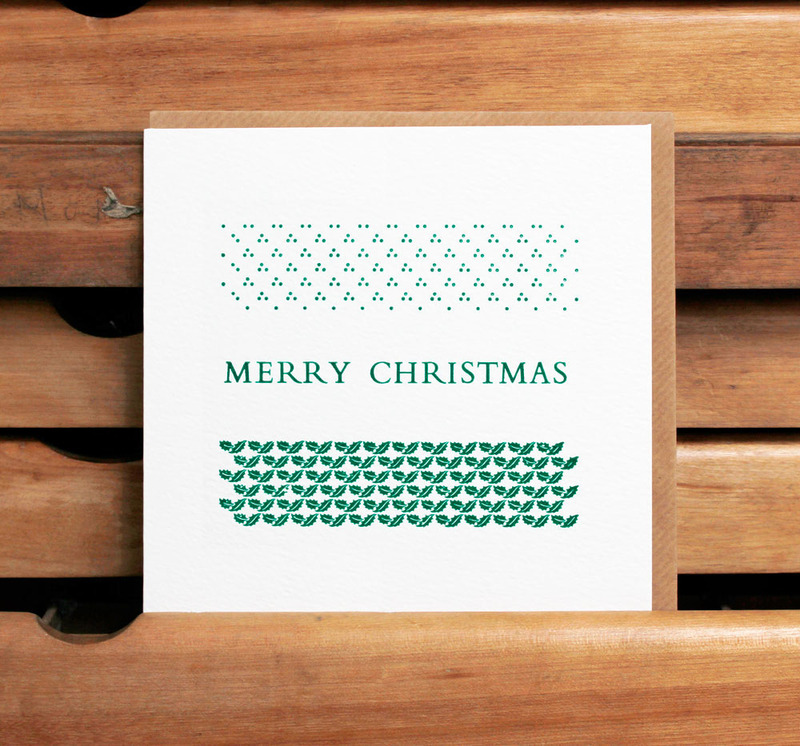 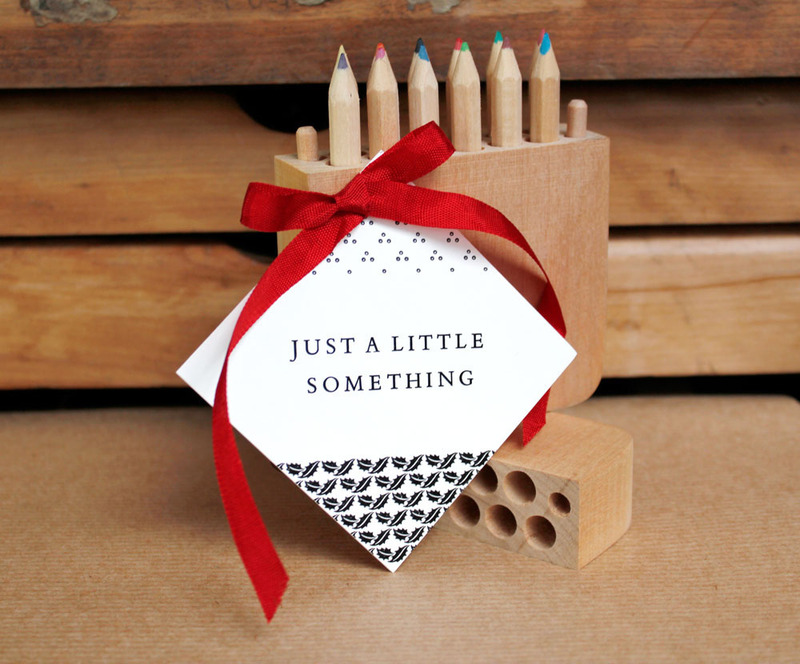 Letterpress Christmas card designs in three colour-ways and a set of four letterpress gift tags. 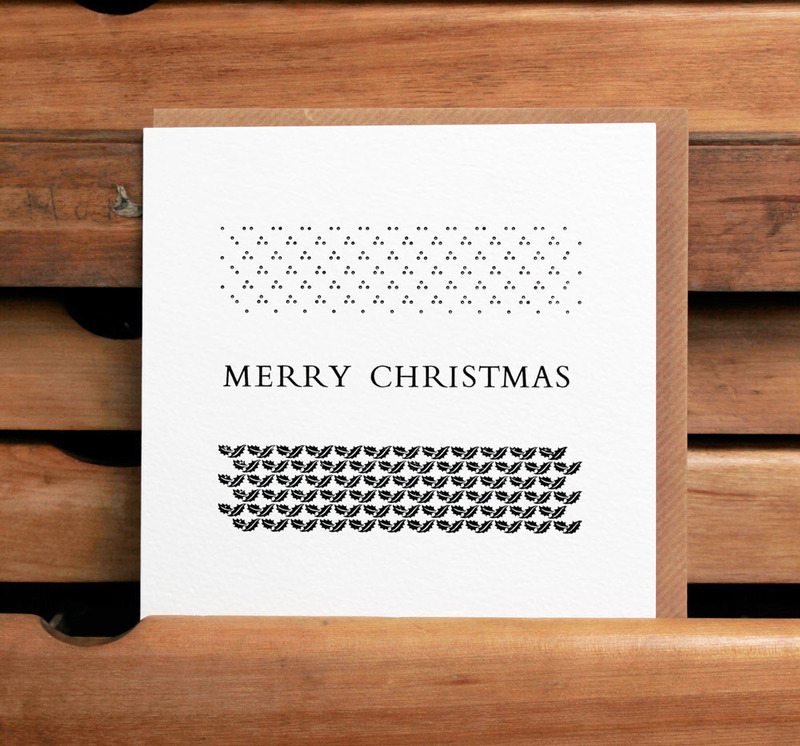 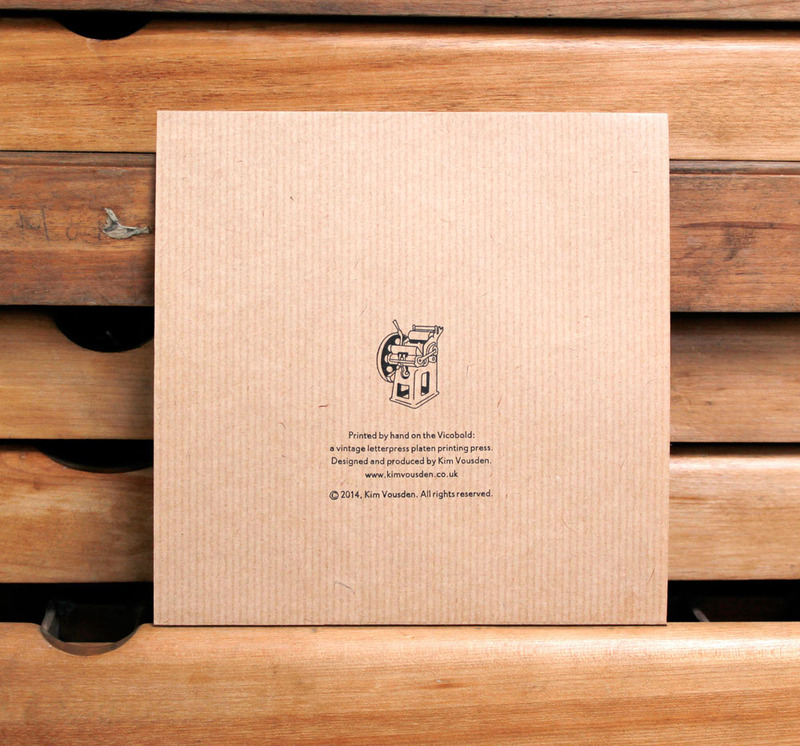 The design was created using type-metal borders cast on a Ludlow casting machine, alongside hand-set metal type: 30pt Bembo caps (16pt Bembo for the gift tags). 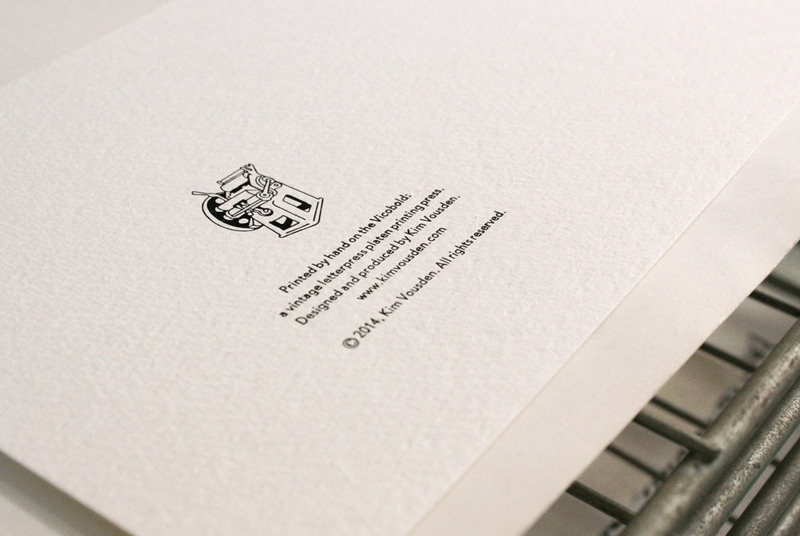 This was then printed on a Vicobold platen printing press. 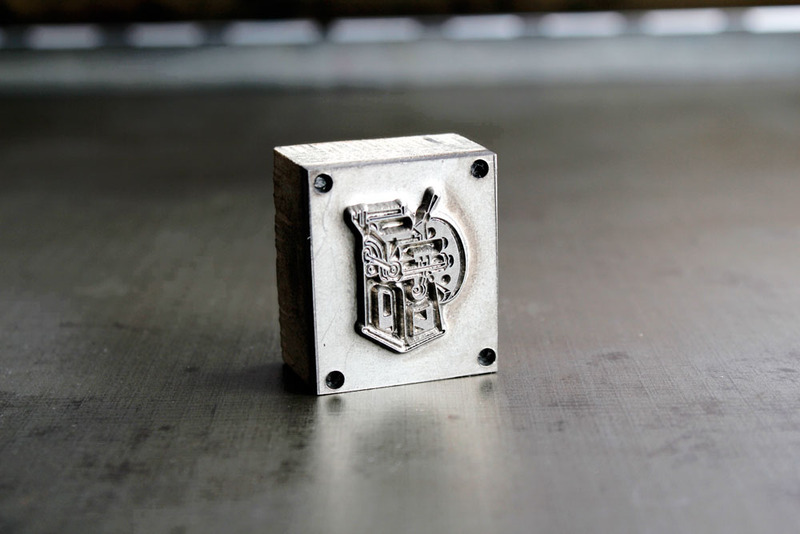 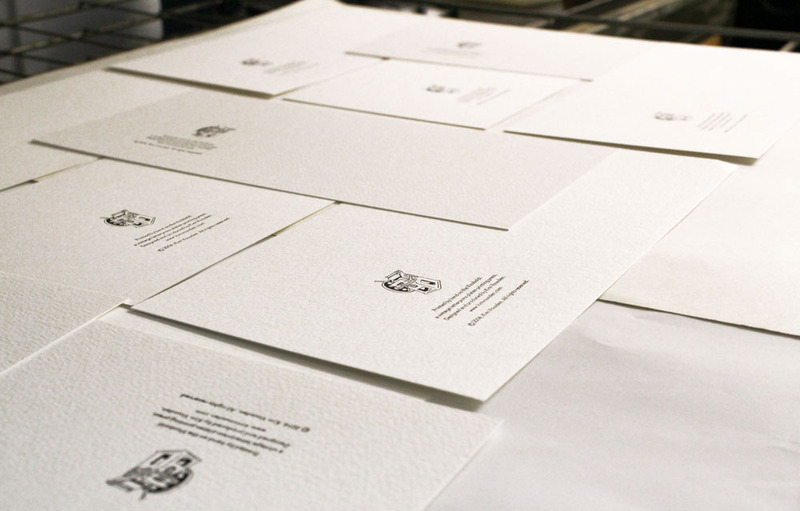 An illustration of the press was drawn and converted into a metal printing plate for the reverse of the cards. 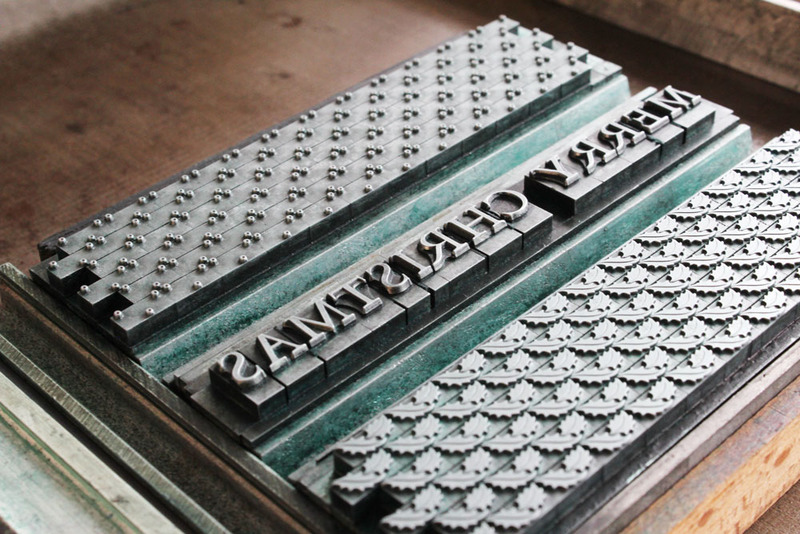 This is accompanied by 8pt Granby type. 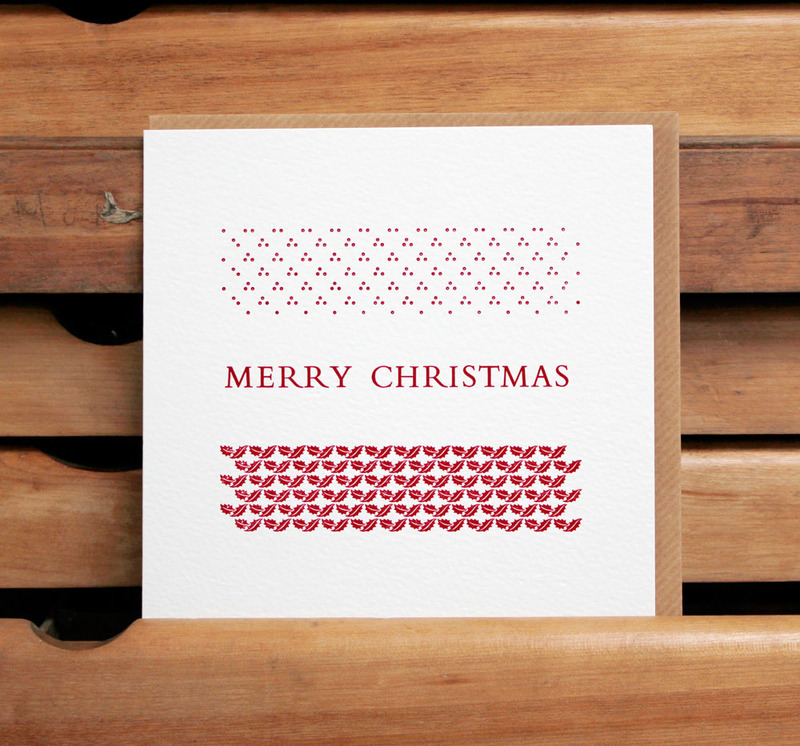 This combo is also used to complete the gift tag packaging.